Thinking of using cloth nappies? I know it can be a bit of a minefield. Not only knowing which nappies you need, but the things that you will need to buy to go with your nappies. 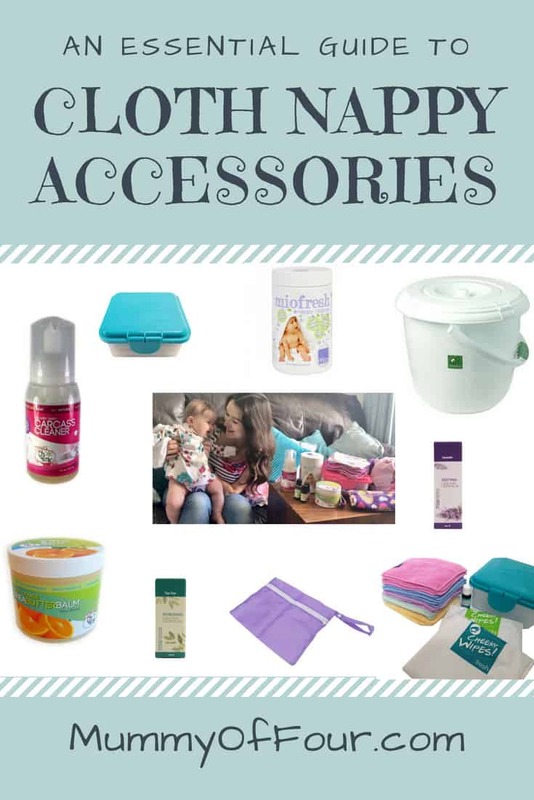 In this article I will go through of all of the bits and pieces that you will need to store and wash your cloth nappies, plus recommendations for cloth wipes, essential oils and cloth safe creams for your baby’s bottom. So whether you’re a beginner to cloth looking for a starter kit, or a cloth nappy addict, don’t forget to subscribe to the blog and take a look at the rest of the cloth nappy series. The easiest way to store your dirty nappies between washes is in a nappy bucket. We like the TotsBots lockable lid nappy bucket. 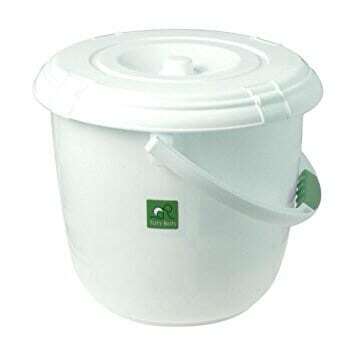 The bucket is big enough to fit plenty of dirty nappies and wipes, plus it has the added bonus of clips to lock the lid. While this does not seem an important consideration when you have a newborn, you will be so glad of it when your baby becomes mobile and is attempting to break into the bucket. 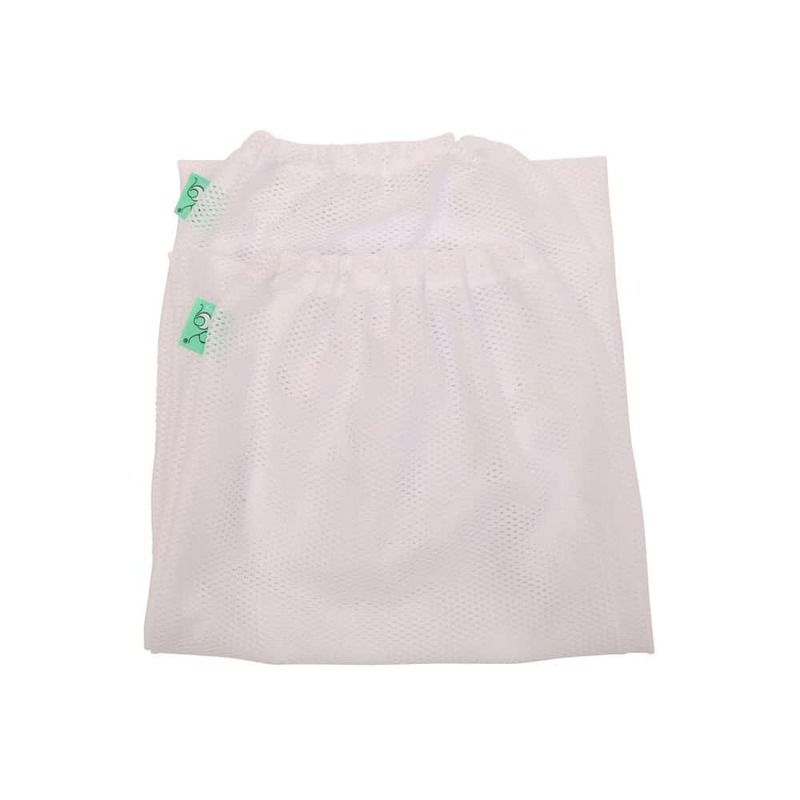 Inside your nappy bucket, you will want to put a mesh laundry bag like these from TotsBots. Make sure that you take any inserts it of the nappy at change time before placing them in the mesh in the bucket. When it comes time to do the wash, you can simply take the mesh out of the bucket and throw the whole thing in the machine, without having to touch any of the dirty nappies. The nappies will work themselves out in the wash. The laundry mesh can then be placed directly back in the bucket after washing, no need to dry it. Wet bags can be used as an alternate method for storing nappies in the home, as well as being ideal for transporting dirty nappies while out and about. As you would with the nappy bucket and mesh, make sure that you take any inserts out of the nappies before placing the whole lot in the wet bag. When it comes to wash time, simply unzip the bag and throw the whole lot in the machine, the nappies will work their way out in the wash. Adding a scoop of sanitiser to your usual washing powder (make sure that you use a powder, not a liquid or gel) will help to keep your nappies hygenically clean. We use Mio Fresh. One tub lasts a long time, but I still but it in multi packs to get it at the best price. If you are using cloth nappies, it only makes sense to use cloth wipes too. Not only will it save you loads of money that you would otherwise waste on disposable wipes, it also makes change times easier. 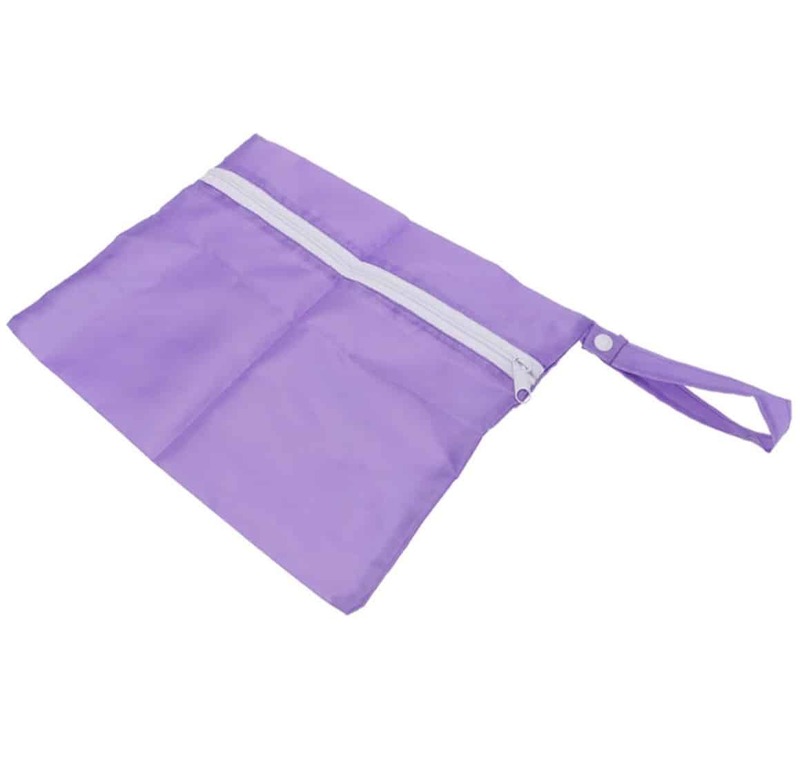 Cloth wipes are simply added to your bucket or wet bag with your nappies, rather than having the inconvenience of having to dispose of wipes separately in the bin. It also helps you do your bit for the environment, plus they are far more gentle on baby’s sensitive skin. I would highly recommend the wipes that we use that can be purchased here from Cheeky Wipes. Click here to read my blog post all about the Cheeky Wipes starter kit and how to use it. A couple of drops of either Tea Tree or Lemon essential oil in your bucket or wet bag help to mask nasty nappy odours until it’s time to wash your nappies. Lavender essential oil works nicely to fragrance your cloth wipes. Check out the cloth wipes blog post for more information. CJ’s CarcASS Cleaner is a lovely baby wash for sensitive skin, that can be used as an alternative to essential oils to fragrance cloth wipes. Make sure that you are using a cloth safe nappy cream with your nappies. We use CJ’s Bottom BUTTer and I cannot recommend it highly enough. 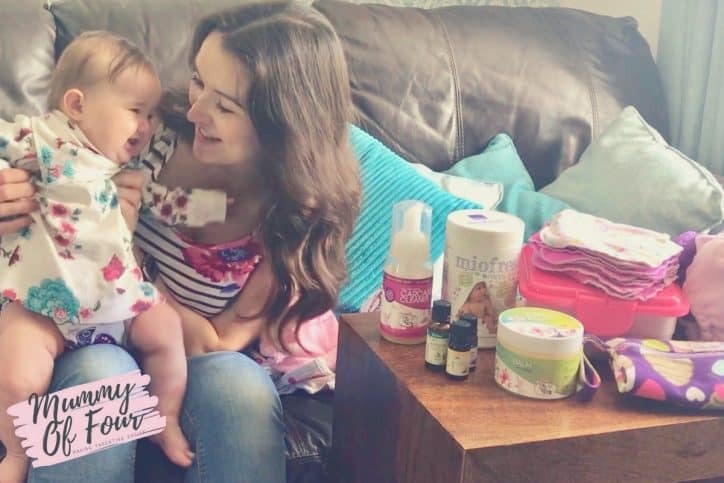 Not only does it banish nappy rash, but its great for so many other uses, such as a postnatal soak in the bath, a deep conditioner for curly hair, very dry skin conditions and more. It comes in lots of yummy smelling fragrances. I’d recommend buying a few trial size pots to see which smells you like before buying a big tub. 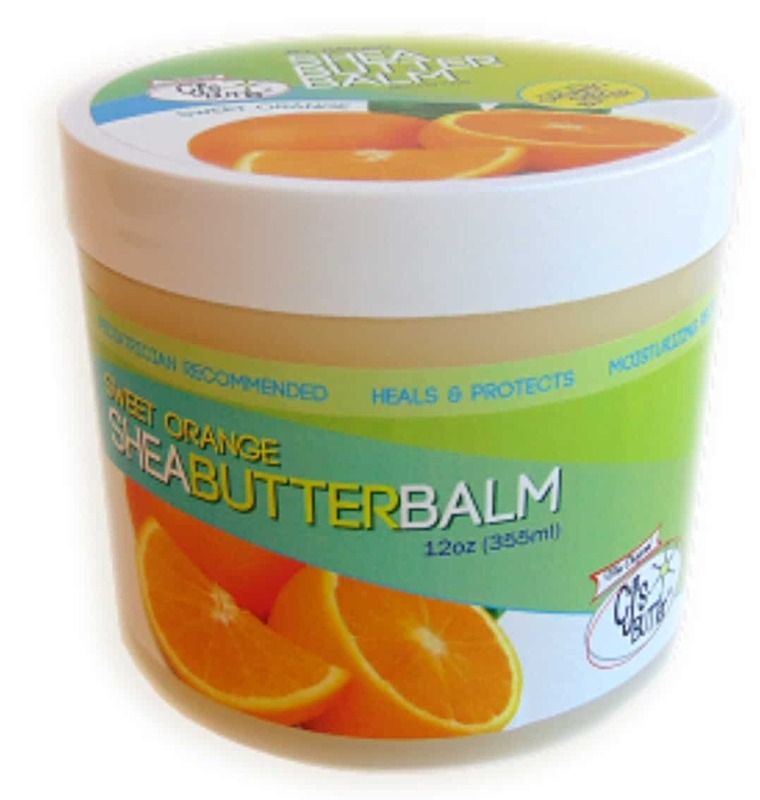 The little pots are an ideal size for your changing bag and can be refilled from the big tubs. Those are their basic accessories that you will need to go along with your cloth nappies. Take a look at the rest of the cloth nappy series for more information about storing, transporting, washing and fitting the nappies, as well as the nappies themselves. Make sure that you subscribe to the blog or follow Mummy Of Four on social media so that you don’t miss any of the upcoming posts in the series. Please comment below with any information about cloth nappies that you would like to see in future videos and posts. I’m on my fourth cloth bum adventure and I’m still learning new things. I’ll have a look at some of the bottom butter – I’d never heard of it before now. Thanks!